MEDIC Regional Blood Center: Ripley’s Haunted Adventure! 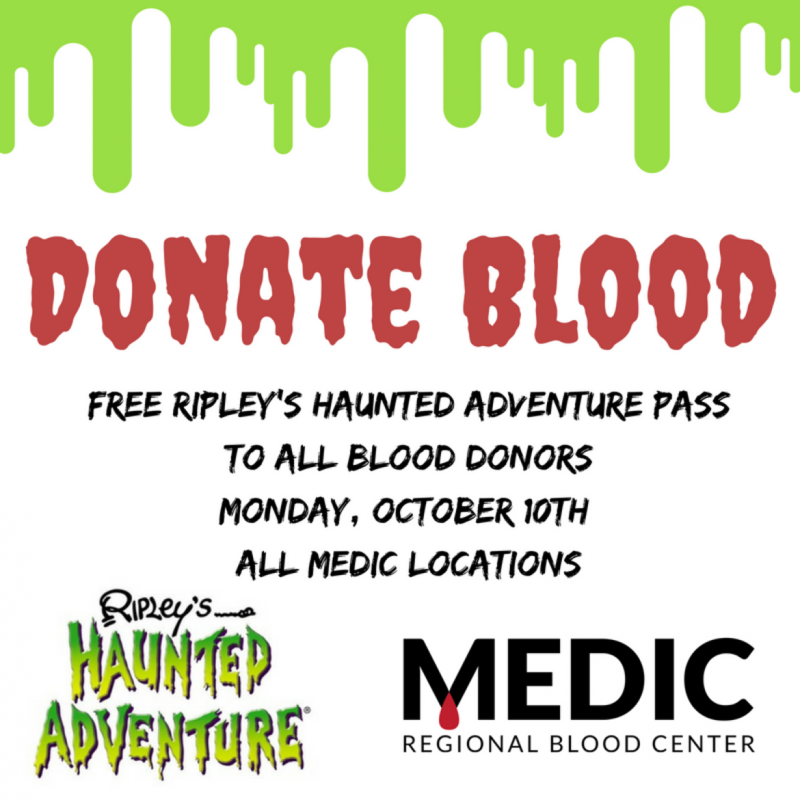 On Monday, October 10th, MEDIC Regional Blood Center is partnering with Ripley’s Haunted Adventure to help bring in life-saving blood donors! During this event, all blood donors will receive a pass for Ripley’s Haunted Adventure, a Free T-Shirt, and a coupon for a Free Appetizer from Texas Roadhouse. Donors who wish to participate can donate at any MEDIC location listed below.